New Fairy Tale Backgrounds for Spring have arrived! By far and away, Fairy Tale Sessions are the most magical and fun photo sessions at Glamour Shots. We know our clients are enchanted by them too, so we’ve introduced new backgrounds for spring. As a part of the creative process we had our art designers write Fairy Tales of their own, and they were too good not to share! Below are two of the best, short and sweet, Fairy Tales of Glamour Shots. A noble knight named Elijah was given the task of retrieving the king’s most prized possession…his daughter, the Princess. 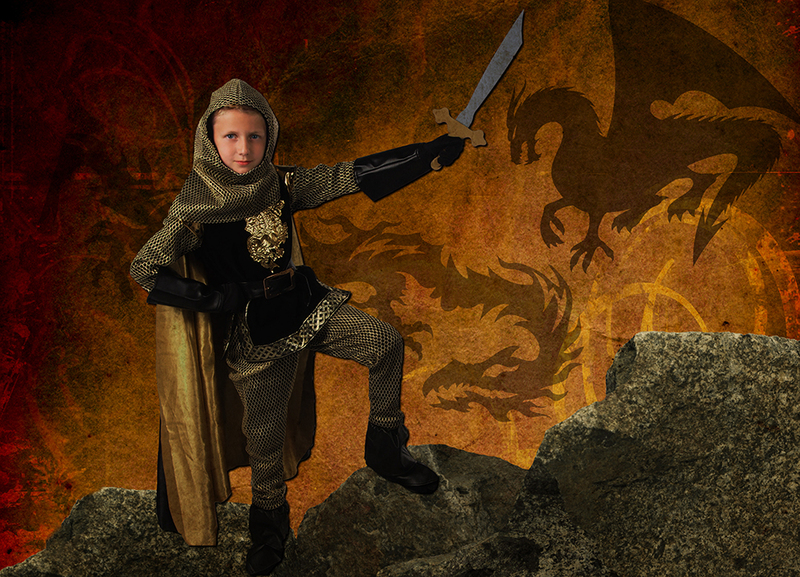 She was being held captive by one dragon, while another guarded a magnificent treasure of ages. Before going into the fiery cave, he cast a spell of glamour. Using scales to render himself invisible and easily sneak by the unsuspecting dragons. He was able to free the Princess and take some of the most kingly of jewels back to the kingdom. And he lived happily ever after! Princess Sarah ventured into the magical land of Glamour Shots. She came across a lovely lake area nestled deep in the forest. There she saw friendly magical creatures who were so enamored with her beauty. They wanted to transform her into a beautiful fairy princess of the forest. With a flick of the pixie’s wand, she had the most beautiful wings imaginable…full of enchantment & sparkles. She danced in delight with the fairies in the moonlight. When it was time to go back to the real world, the fairies presented her a photo so she would always remember her time there. And she lived happily ever after! During Fairy Tale photo shoots, kids dress up in a knight costume or flowing fairy dress complete with shimmering wings and strike fun, fairy-like poses. Feel free to bring your child’s favorite costume or check with your local studio on their costume availability. 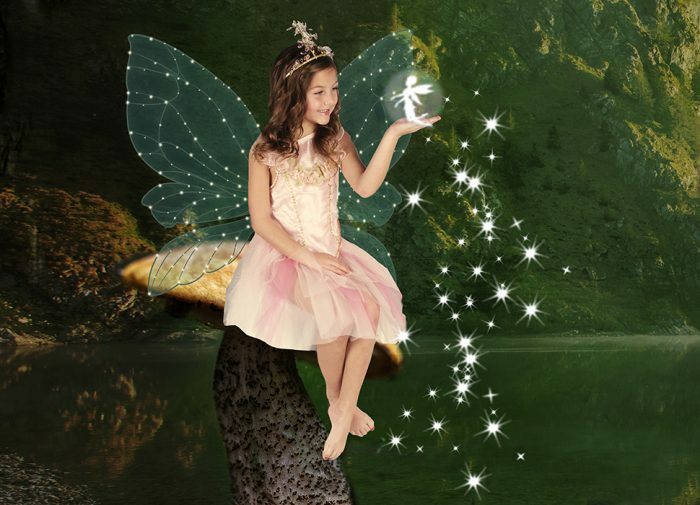 With your fairy tale portrait, you can choose from our digital wings or bring your own wings! Afterward, you will select the pose you like best to be printed and turned into a digital image. Processing-lab technicians and graphic artists will then add a digital background and magical effects to the chosen pose, creating a mythical land for your child. View our Fairy Tale Portrait Gallery.